Merchiston is the only boys’ independent boarding school in Scotland, offers the English curriculum, but has a truly global and outward-facing dimension. The School takes pride in specializing in the education of boys and preparing them for the world, developing aspirational, and sensitive, yet gentle-men! Think about a wonderfully caring and nurturing family environment, where they will learn to like learning more. 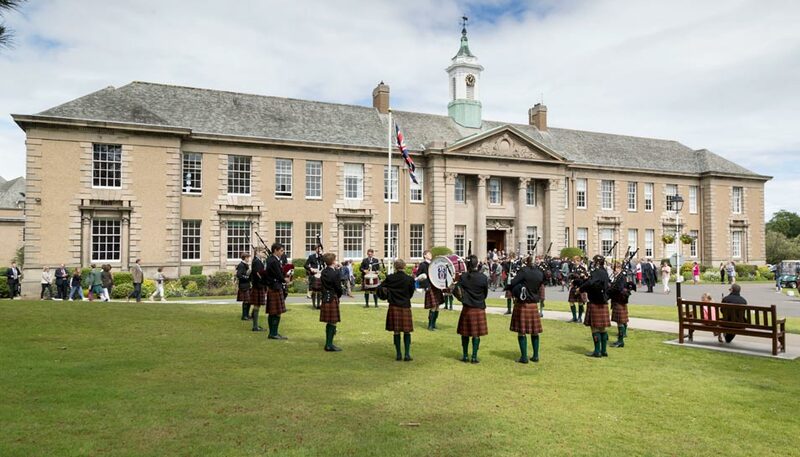 With an ethos based on traditional values, Merchiston encourages self-reliance and independence, as well as respect for and tolerance of others. The main objective is to motivate pupils to try their hardest and to strive to achieve the highest levels possible in all areas - firstly academic, then cultural, sporting, leadership, and simply living together as part of a community. The modern way of life at Merchiston is therefore busy and exciting and we seek to maintain the delicate balance of priorities within and outwith the classroom. However, whilst revelling in the excellence of the sporting, musical and numerous other activities, the School continues to emphasize the primacy of academic work, which is at the heart of the total curriculum. 3 As at A Level is 144 UCAS points. Merchiston’s average is 141 points. 100% overall pass rate at A Level. 50% of grades achieved at A Level were at A*/A level. 95% of pupils gained places at their first or second choice university. 69% of pupils went to UK Russell Group Universities, Bath, St Andrews and leading international institutions. SAT support clinics for applicants for American Universities. Students have gained admission to Ivy League Universities, such as Cornell and Brown. 66% of grades achieved at GCSE were A*/A or 9/8/7 level. 41% of grades achieved at GCSE were A* or 9/8 level. 32% of grades achieved at reformed GCSE were level 9 (one grade higher than A*). Gradual progression to secondary teaching from Primary 6. Full boarding with a varied weekend activity programme specifically suited to age and stage. Member of the World Leading Schools Association – the only School in Scotland! In 2017/18, 88% of all pupils, from 7-18, represented the School in sport. In 2017/18, there were 75 different teams, of all abilities, playing competitive fixtures across 16 sports: a total of 480 fixtures. Wide range of sports available, such as athletics, cricket and hockey, suitable for boys of all abilities. Each boarding house caters for a particular age group and the atmosphere and activities are tailored accordingly. The House structure enables boys to develop a wide circle of friends, and to learn how to support each other. Merchiston also benefits from its strong links with girls’ schools for drama performances, cultural events and social gatherings. A range of scholarships is available at ages 10+. A financial concession is not automatically applied to a Scholarship but, where parents wish, they may apply fir means-tested financial assistance. Fees per term. Boarding £7,030 - £10,970; Day £5,010 - £8,070.